Hi All! 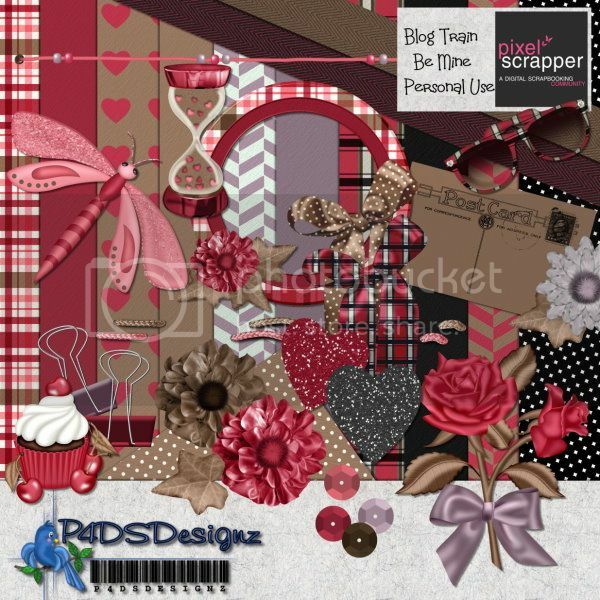 I know that you all love Blog Train's...Well I have joined in the fun with Pixel Scrappers Team to create a little something for you all! Here is my part of the Train. Now!! Wasn't this fun! All these wonderful ladies put a lot of time in putting this all together for you. What a Big! Beautiful kits for you just in time for this month. So go and grab from each blogs. Thanks for stopping by. I love the style of your kit..quirky & sweet! Thanks!